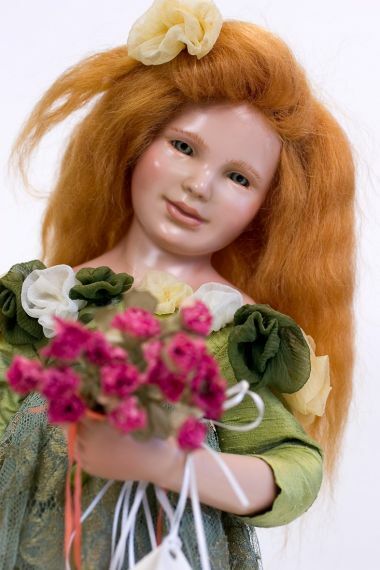 Daisy is Israeli doll artist, Edna Dali's first Wax over Porcelain art doll. She is dressed in green French lace, raw silk and she is decorated with handmade chiffon roses. She has green glass eyes and a red mohair wig. This is # 3 of a limited edition of 100. 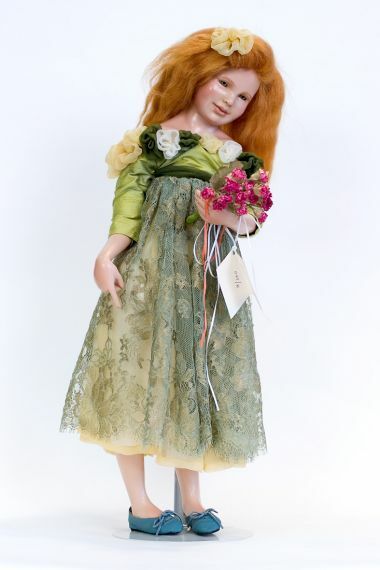 This doll stands approximately 21 inches tall.